Puma Growth in the 21st Century (Percent Change) The Pacific Pumas have enjoyed consistent growth despite difficult global conditions. 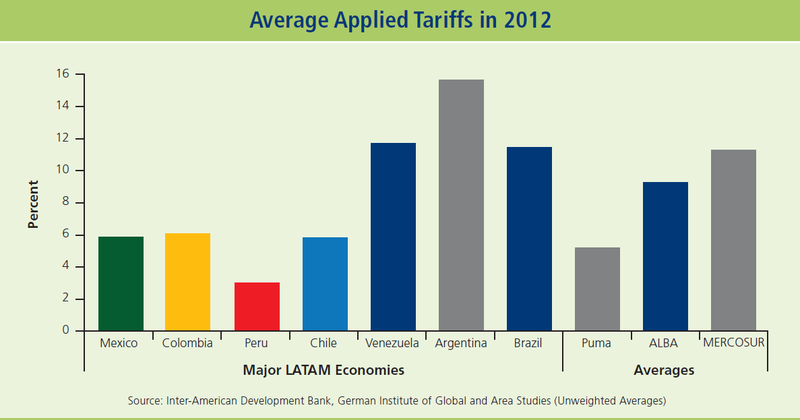 The downturn in 2009 reflects the global financial crisis, for which Latin America bore little responsibility. 2010 growth figures suggest a swift rebound. In the face of unfavorable global headwinds, 2014 growth expectations are lower than one might hope, but they are still positive. 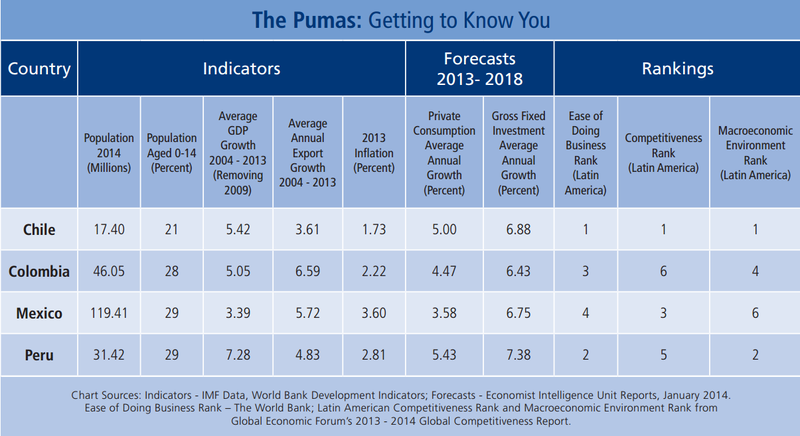 The Pacific Pumas’ economic indicators and forecasts suggest growth in population, gross domestic production, consumption and gross fixed investment. 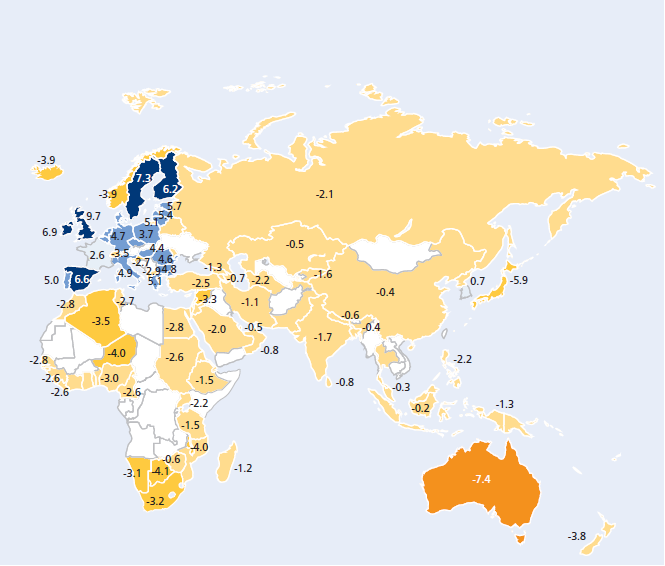 The younger population signals that the four countries will enjoy favorable demographic conditions in the coming years. The rankings are subjective, but they are indicative of the business community’s current affinity for the four countries. 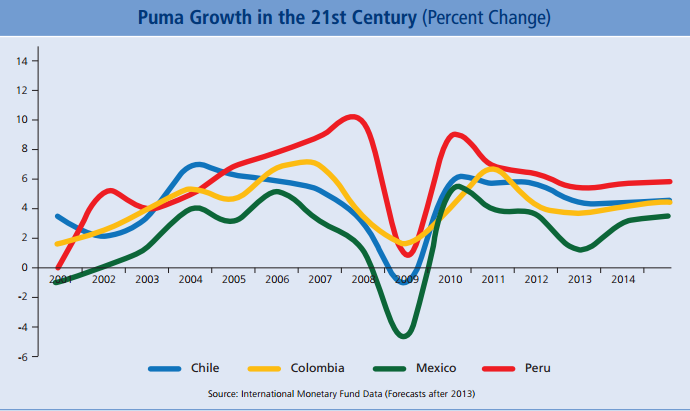 Crucially, the Pacific Pumas have held inflation in check while managing floating currencies. 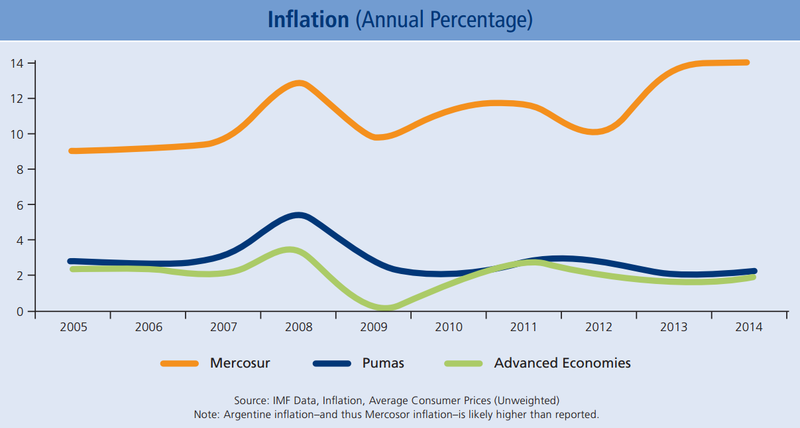 This is in stark contrast with Mercosur countries, where inflation is likely higher than even the official figures. 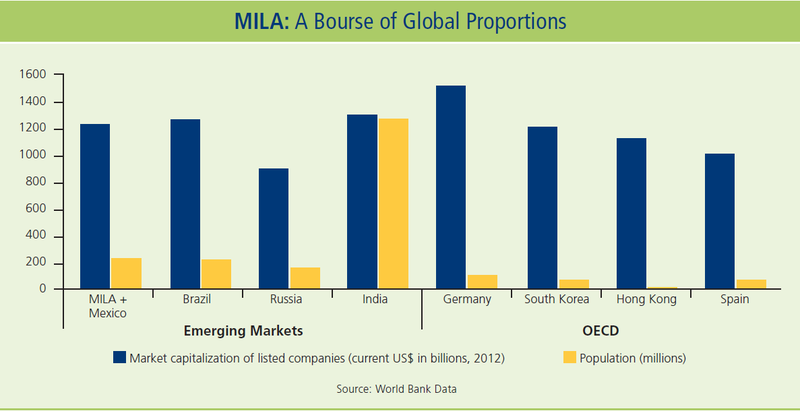 In the coming years, emerging markets around the world may face turbulence as developed economies tighten crisis-era macroeconomic policy. However, the Pumas’ reserve positions suggest an ability to withstand the disturbances. 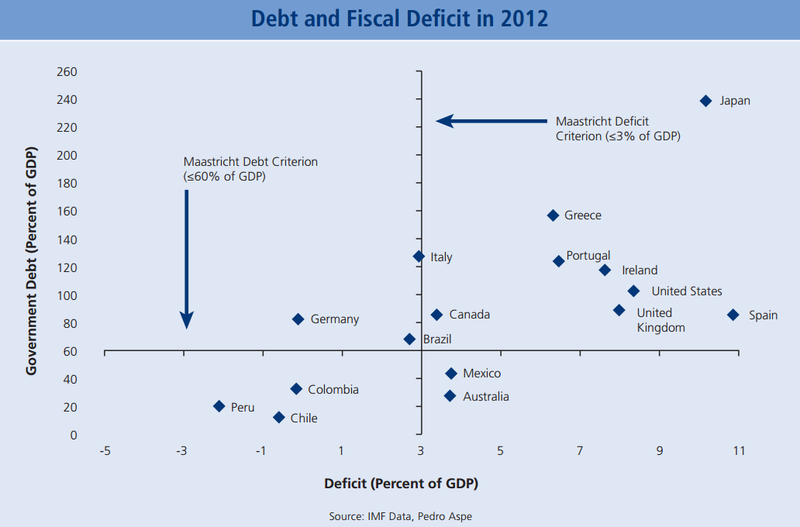 Latin American countries are infamous for fiscal profligacy and unsustainable debt. 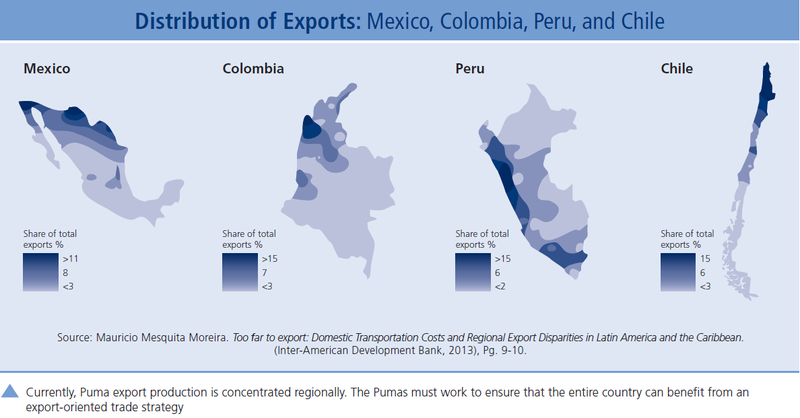 The Pacific Pumas appear to be bucking that trend. 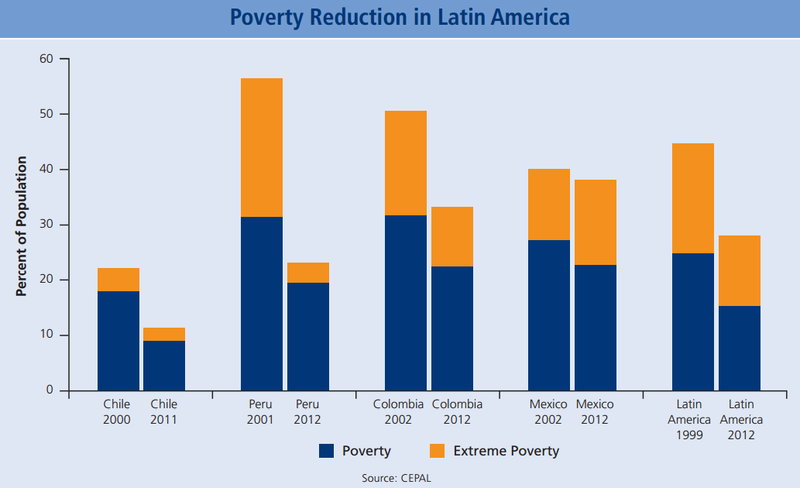 Like much of the rest of Latin America, the Pumas have made important inroads against poverty. More uniquely, they have done so while maintaining a positive business environment. 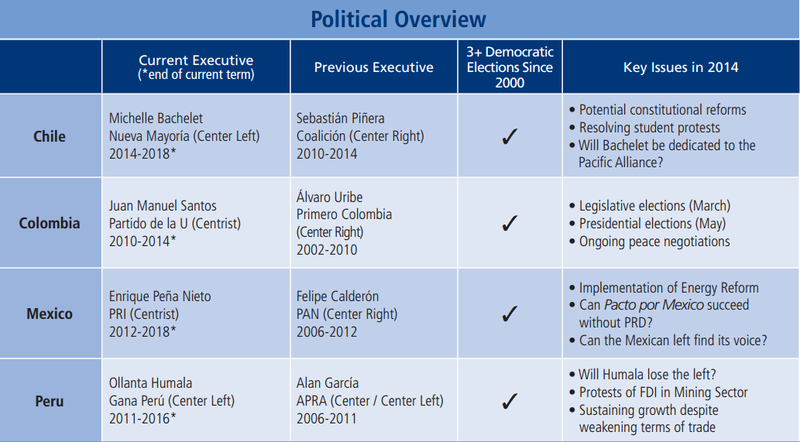 Political Overview: Not only have the Pumas had successful executive transitions, but leaders of both the right and left have respected the rules of the game and have governed moderately. 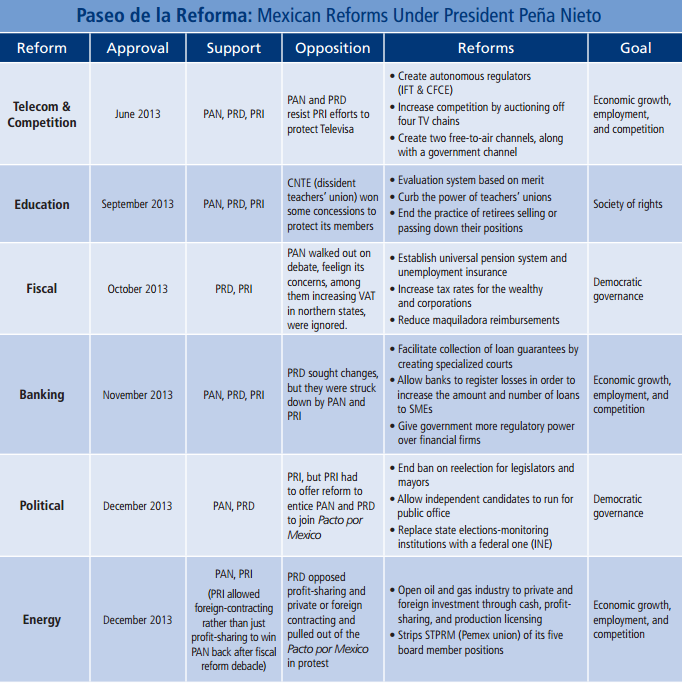 The Mexican reform process reflects a concerted (and belated) effort to create the institutional foundation required to support the weighty potential of the Mexican economy. The press might refer to the lengthy dialogues between parties as “horse trading”, but for Mexico—a one-horse country for much of the last century—it is evidence of a burgeoning democracy. 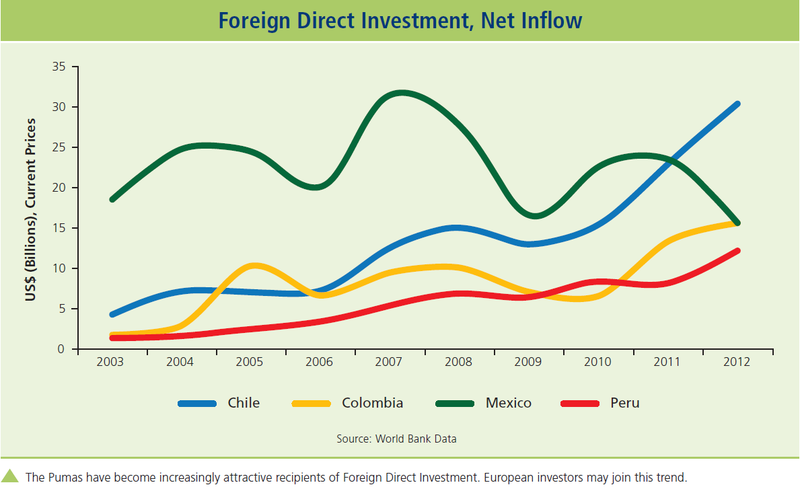 Colombia’s emergence has not been hindered by economic mismanagement, but rather by the violence that has displaced roughly ten percent of the population and deterred private investment on long-term infrastructure projects. This same violence has also prevented Colombia from becoming a truly inclusive democracy. 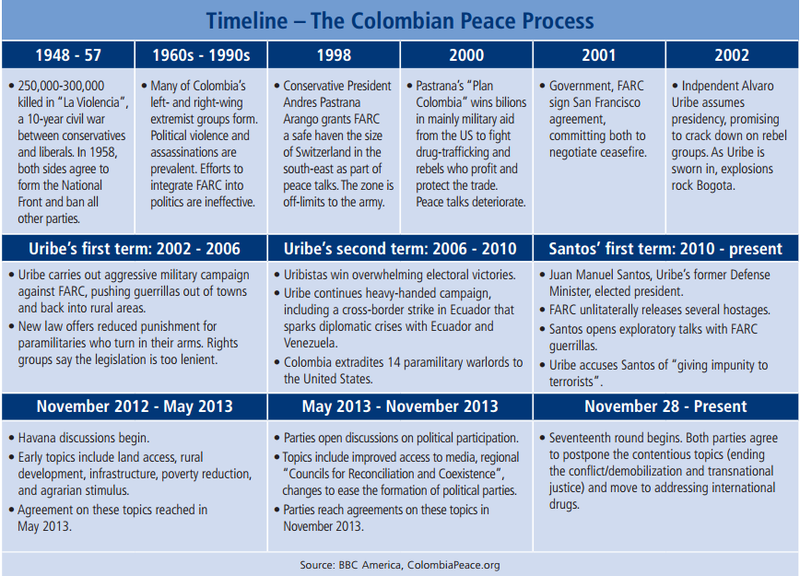 Could Colombia finally be moving towards a lasting peace? Chilean President Michelle Bachelet’s latest initiatives to reform her country’s constitution are indicative of Chile’s 25-year effort to responsibly reform the severely flawed document installed by the Pinochet dictatorship. 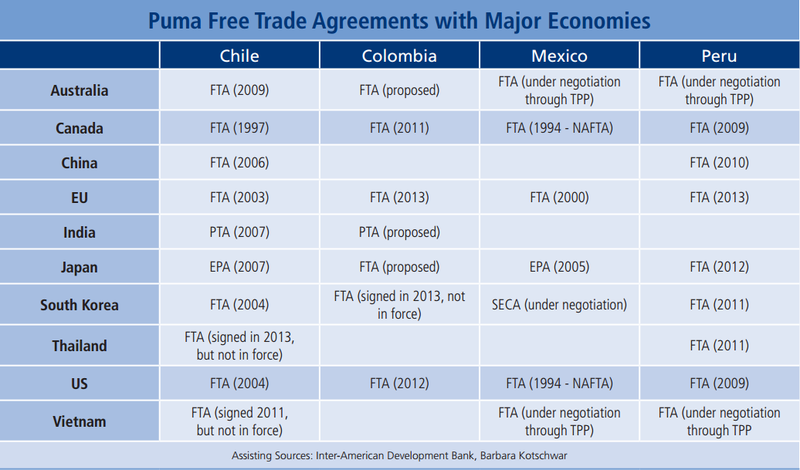 Perhaps the Pacific Alliance can lead to increased inter-American trade. 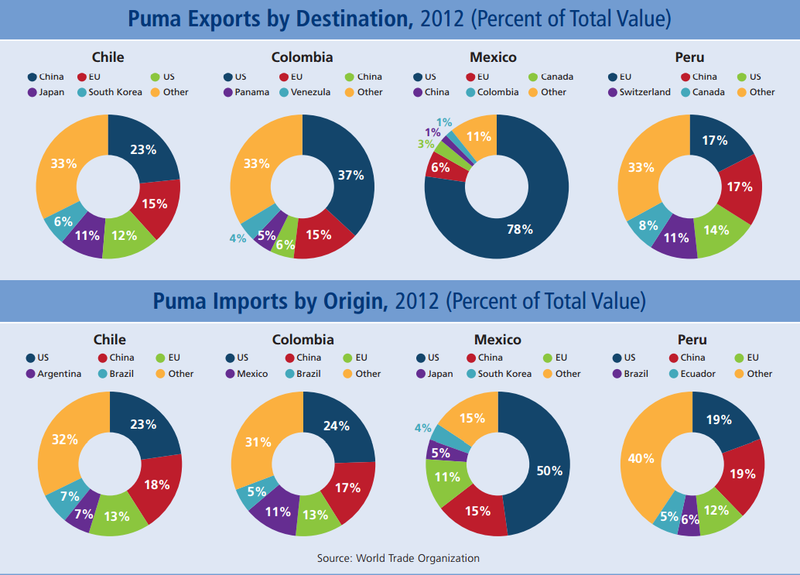 The Pacific Alliance has expanded beyond the original Pumas. 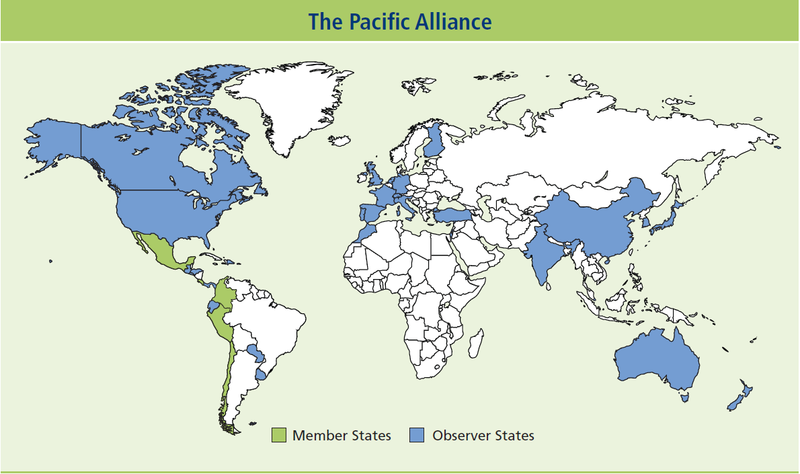 Costa Rica is completing the procedural steps required to join as a member; Guatemala and Panama could be next. Twenty-nine other countries, from China to the US, from Uruguay to France, have signed on as observers. 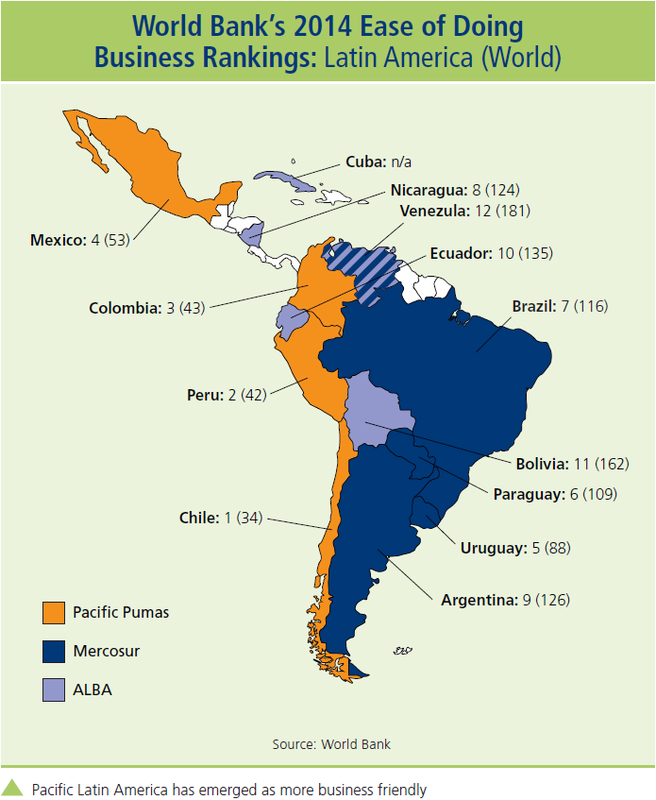 The Pacific Pumas are forecast to suffer losses in GDP if the US and EU sign TTIP, a trade and investment pact currently under negotiation. 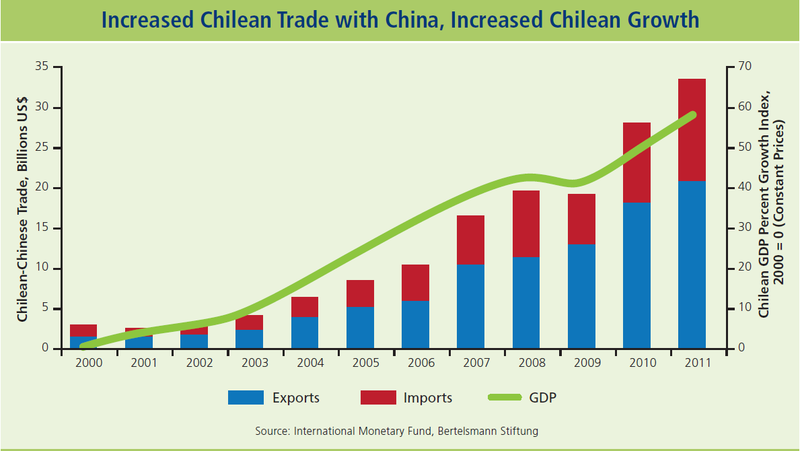 Chinese demand for Chilean copper has pushed recent Chilean growth. 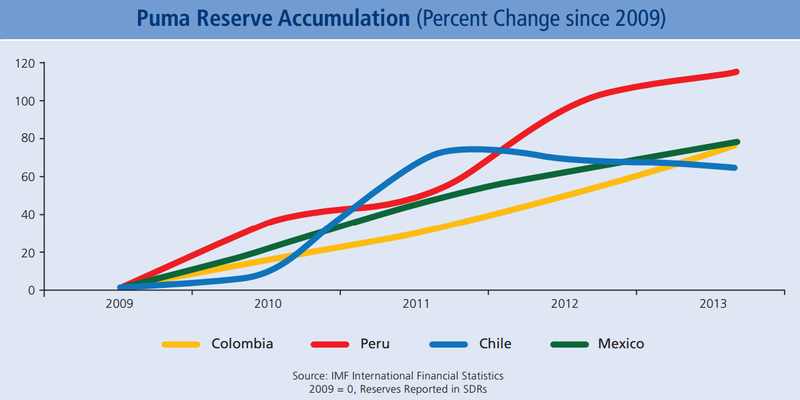 Chile must use windfall gains to reinvest in sectors beyond commodities. Trade flows from 2000, 2005 and 2011 demonstrate that China has both captured an increasing percentage of the US market, while also opening a sizeable trade surplus with Mexico. For Mexican manufacturing to thrive, it must remain competitive both in the US and domestic markets. Wait, wait, wait…who are the Pacific Pumas? 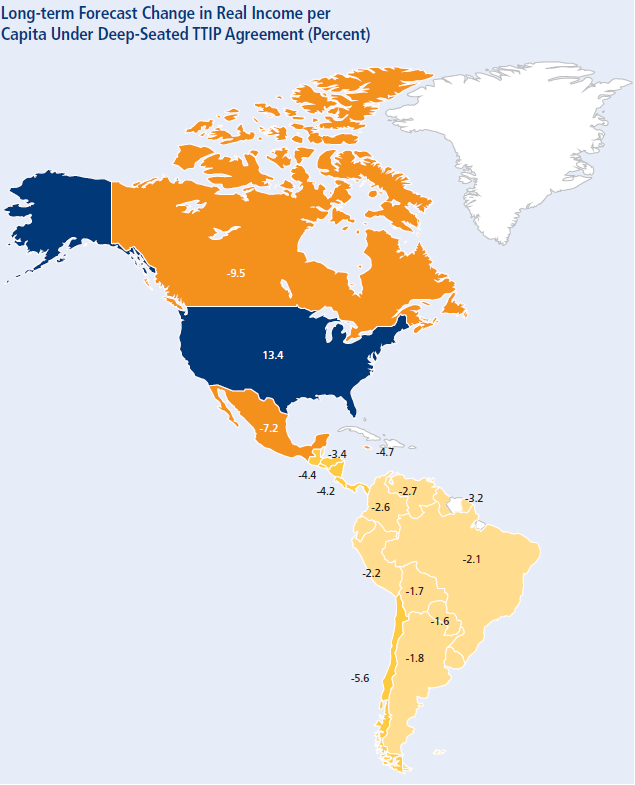 This entry was posted in Andean Region, Mexico + Central America, Southern Cone, Uncategorized and tagged Alianza del pacifico, Chia, Chile, China, Colombia, constitutional reform, Debt, defecit, Ease of doing business, foreign reserves, Growth, Latin America, mexican reforms, Mexico, MILA, Pacific Alliance, Pacific Pumas, peace process, Peru, tariffs, TTIP. Bookmark the permalink.